Part 2 of a 6-issue arc written by Gilbert Hernandez! A freak lab accident has turned Sapphire and Joey Stagg into a single, raging elemental creature hell-bent on revenge against her father's competitors. 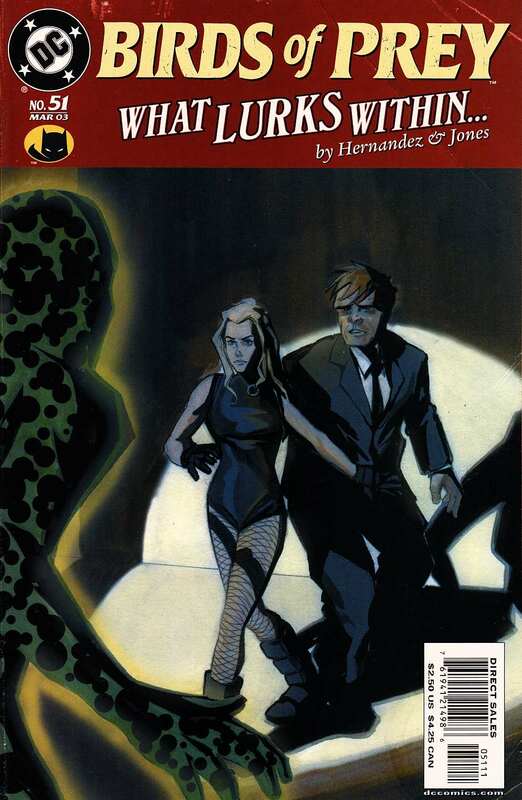 Can Black Canary and Java, the Staggs' caveman bodguard, hunt down the renegade creature before it destroys again? Meanwhile, Oracle entertains an unwelcome visitor.